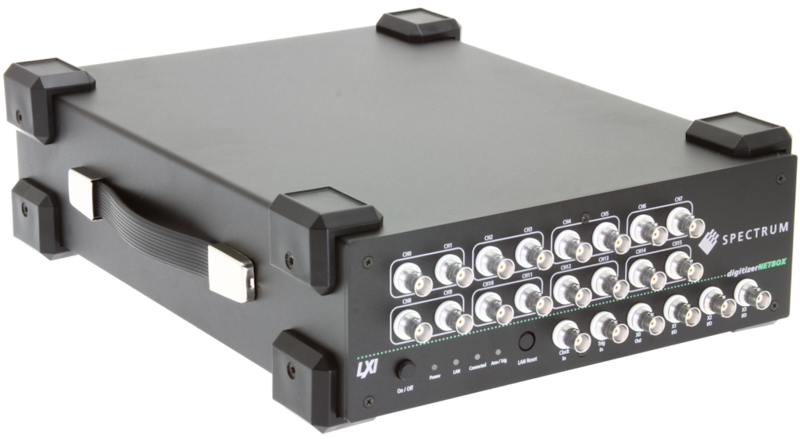 The DN2.59x digitizerNETBOX series allows recording of one, two, four, eight or 16 channels with sampling rates of 20 MS/s up to 125 MS/s. These instruments offer outstanding A/D features both in resolution and speed. They are available in several versions and different speed grades making it possible for the user to find an individual solution. The feature to switch input channels between single-ended and differential input allows to use the DN2.59x series as differential transient recorder.